It was announced this morning that SiriusXM will acquire music streaming service Pandora in a deal worth $3.5 billion. SiriusXM is touting the acquisition as the creation of the world’s largest audio entertainment company. Pandora was the first big player in the music streaming game but failed to capitalize on that advantage in a way that could produce a tidy profit. The service had almost 6 million paid subscribers as of May, despite tough competition from other music services like Spotify and Apple Music. Roughly 71 million people use Pandora for free. SiriusXM currently has roughly 36 million subscribers in North America and Pandora’s listener base will be a welcome addition to the satellite radio giant’s business. “We have long respected Pandora and their team for their popular consumer offering that has attracted a massive audience, and have been impressed by Pandora’s strategic progress and stronger execution,” Sirius XM’s chief executive Jim Meyer said in a statement. “We believe there are significant opportunities to create value for both companies’ stockholders by combining our complementary businesses. The addition of Pandora diversifies SiriusXM’s revenue streams with the U.S.’s largest ad-supported audio offering, broadens our technical capabilities, and represents an exciting next step in our efforts to expand our reach out of the car even further,” Meyer said. SiriusXM said there won’t be any changes to its satellite offerings or to Pandora subscriptions right now, but that could certainly change in the future. The two services will also reportedly keep their individual brands, though that might become an issue for the company as well. As the Washington Post notes, SiriusXM’s stock skyrocketed 10 percent in pre-market trading following the news. Pandora has previously been described as “struggling,” a “sad sack,” and in need of “a miracle.” Well, it looks like Sirius just delivered that miracle. At least for Pandora shareholders. At its peak, Pandora was worth well over $7 billion—way more than that $3.5 billion acquisition price. But Pandora’s current market cap (approximately $2.4 billion) makes the deal look more generous. 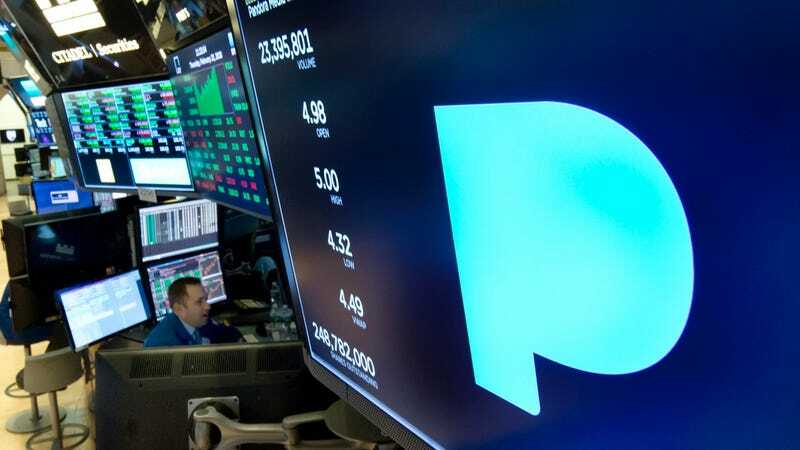 “The powerful combination of SiriusXM’s content, position in the car, and premium subscription products, along with the biggest audio streaming service in the U.S., will create the world’s largest audio entertainment company,” CEO of Pandora Roger Lynch said in a statement.